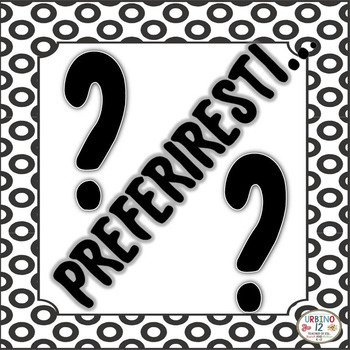 These 20 Would You Rather Questions in Italian (Preferiresti?) are great to use as a warm up with your students. Perfect for a paired speaking activity. Students simply read the questions to each other and check off their responses in the circle provided. They can also be used as writing prompts.